File photo. The Oregon Health Authority has lifted an algae advisory for people swimming and boating in Detroit Lake. After 10 days, the Oregon Health Authority has lifted an algae advisory for people swimming and boating in Detroit Lake. Health officials have also made it harder to lift such advisories in the future. The OHA announced Monday that it will now require three days of consecutive testing that show levels of possibly harmful cyanobacteria are below guidelines before lifting a recreational use advisory at the reservoir. The agency will also require a visual assessment that suggests an algae bloom has subsided, which it got Sunday from the City of Salem. Under existing protocol, the agency lifted recreational use advisories after just one test showing cyanobacteria levels were below state guidelines. That led to a situation earlier this month where the OHA issued an advisory on June 13, lifted in the following day, and then immediately re-issued the warning when tests again showed bacteria above established thresholds. State officials say the new policy offers more certainty. “Three days of low results plus [the fact] that it looks like the bloom has dissipated makes us feel more confident the bloom is likely to stay off,” OHA toxicologist David Farrer told OPB. 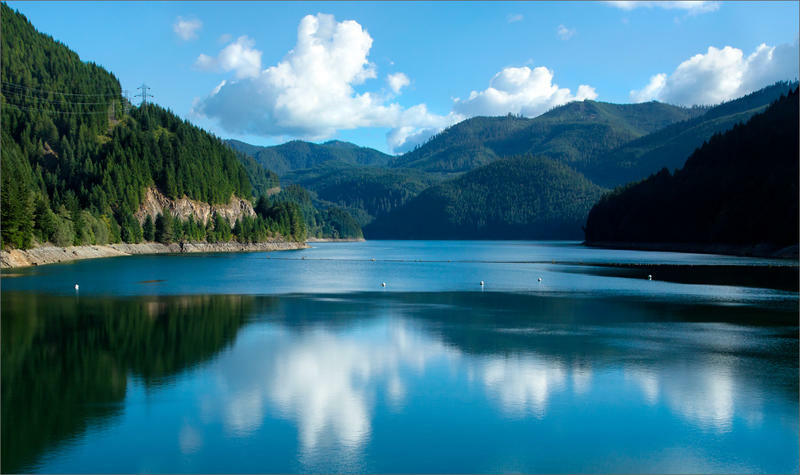 The state’s announcement comes as blue-green algae in Detroit Lake continues to impact the City of Salem, which for weeks has been under a drinking water advisory for young children, pregnant or nursing mothers, and other vulnerable populations. In a release Monday, the city announced that that advisory will remain in effect, even though the most recent test results show cyanobacteria levels don't pose risks. The city is testing a new method for eliminating the contaminants using powdered carbon. Harmful algae blooms have been an emerging issue, but this year marked the first time an Oregon water system turned up cyanobacteria in its treated tap water. That’s led to soul searching at water providers around the state and has the OHA planning to issue temporary rules to require testing in coming weeks. Health advisories over algae blooms typically peak in August or September, when water is warmer, Farrer said. A drinking water advisory for the city of Salem doesn’t look like it’s going away just yet. After extending the advisory over potentially harmful cyanotoxins for two weeks on June 11, city officials now say it’s unlikely the warning will be lifted June 25. A drinking water advisory in Salem has been extended for another two weeks. Gov. Kate Brown is declaring an emergency and mobilizing Oregon National Guard soldiers in response to an ongoing water quality situation in and around Salem.